Today’s supply chains are massive, with the U.S. supply chain providing 37 percent of the entire nation’s jobs. In order to oversee these sizable operations, companies are turning to supply chain management software. This type of software allows companies to much more effectively source raw materials and control product cycles, automating error-prone processes and centralizing data for decision making. With better supply chain management (SCM), the company’s leadership knows where every resource is and how deliveries will work. This, in turn, drives more efficiency, better profit margins, more agile business processes and greater end-to-end supply chain visibility. Different kinds of supply chain monitoring effectively oversee the movement of materials and items through the company’s supply chain. SCM systems provide information like shipment date and time, ID and order numbers, freight data and more to provide increased supply chain visibility. Businesses can apply this insight to keep track of KPIs and make more strategic decisions. Supply chain monitoring should also provide a centralized dashboard to oversee your operations. View your procurement, manufacturing and logistics all in one place to gain a more contextual understanding of each process. Supply chain planning manages and provides visibility into upcoming activities. These tools allow users to create and update plans according to demand. Users can set up alerts when it appears there will soon be a stock-outage or an excess of product. This way, you’re able to tackle issues that may affect your customers before they occur. Later in the process, performance data can be fed back into your system to improve forecasts and trends. Planning also helps manage inventory levels by automatically allocating stock for high priority orders first. For further optimization, companies may wish to utilize a Just-in-Time system to reduce the costs associated with holding inventory. Getting an order from sale to delivery quickly and accurately is what most of the processes in a supply chain work towards. Getting a head start with strong order processing can make all the difference for the right company. Order processing functionality streamlines your order-related activities, increasing the number of perfect orders and improving customer satisfaction. Order processing primarily handles the creation and delivery of orders, including those from multiple channels and drop shipments. You may choose a system that can handle your invoices as well. Inventory management assists in evaluating how companies bring materials into a business and their movement thereafter. By using software to organize these activities, companies reach more insight into how they work with suppliers and again, where inventory will be at any given stage of a process chain. First, your solution needs to support some method of inputting inventory data into the system. This is typically done using RFID tags or barcodes. These tools are the infrastructure that enable the rest of the system to carry out its functions. Once you have a way of quickly identifying inventory, your visibility drastically improves and you can move onto optimization. Users can look into inventory levels and determine what actions are necessary to meet demand. Many systems can automate much of this process, using inbuilt intelligence features to decide optimal stock levels and reorder items automatically. Keep your orders organized by having them all in one place with SCM software. A warehouse management system (WMS) brings a more precise level of control to physical warehouse operations. This type of SCM solution helps users observe your warehouse as a physical environment, or as a “planned organism” to more capably direct what happens inside a warehousing facility. These systems help deal with all parts of the equation, including labor, materials, floor space and operational protocols, everything that makes a warehouse work day-to-day. These systems come as part of a larger supply chain solution, part of an ERP or as a standalone application. While standalone systems can be integrated with other software, choosing a solution as part of an existing SCM suite minimizes the need to manage discrepancies and overlaps. Transportation management tools direct the systems that handle supplies in transit. In many cases, this is a mix of over-the-road fleet management tools and monitoring for other types of shipping, such as rail, air or sea shipping. Being able to monitor shipments allows you to see issues in their early stages, giving you the most time to get back on track. In addition to monitoring your logistics, many supply chain management systems provide the means to create plans and strategies. Avoid overspending by preplanning your routes and allocating resources in the most optimal way. After a route has been completed, see the impact of your decisions using performance reporting. Logistics software should ultimately support the quick and secure handling of supplies and inventory as it makes its way through the chain. Sourcing procurement and supplier management tools bring other slightly different angles to the task of evaluating your supply chain processes. Many of these tools look at costs, contract management, supplier quality and other issues. They help drive the sourcing and procurement of raw materials and supplies, as well as assess the technical aspects of the relationships between companies and their vendors. Sourcing and supply tools are vital in establishing key tracking methodologies for supplies and materials. They also automate much of the relationship management, increasing efficiency and reducing mix-ups and errors. Along with tools that support the functions of a supply chain, you may want to invest in software that can evaluate your process. These tools use business intelligence and analytics to help you understand how your problems originate, what you can do to manage risks and what events are likely to occur in the future. 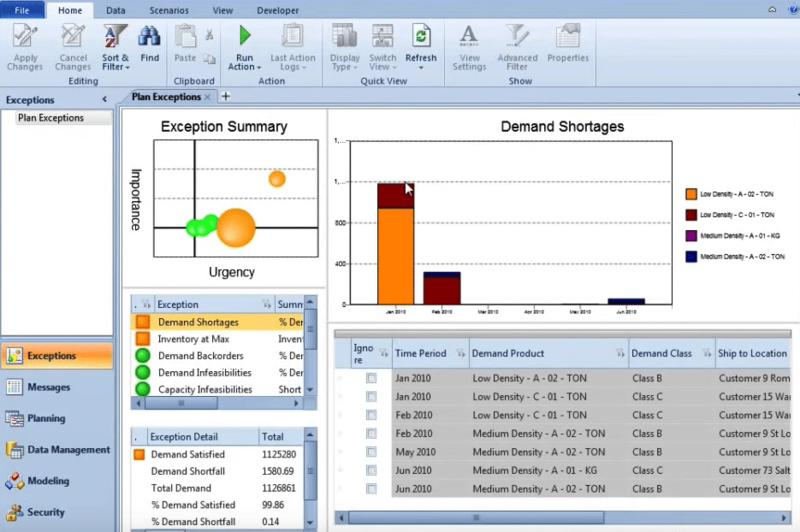 See demand forecasts with rich visual data representations. Analytics tools give your business the means to capitalize on existing data. This allows your company to move past ineffective strategies and bring in new innovation backed by figures and facts. Collaboration features of SCM help support business partnerships that enhance a supply chain. Partners can get accessible data on the status of items or shipments, look at transparent inventory models or manage identity access for a system. The feature sets of these resources are made to allow multiple stakeholders to work together on a project so that they’re on the same page, without the need for labor-intensive communication and manual updates. Bringing automation to collaboration can help companies tremendously in expanding their power, scaling up operations and developing a more sophisticated approach to business. Companies also have to evaluate the deployment environment of a technology, the operating systems that it runs on and the security features that it provides. For example, security features may include things like an audit trail, encryption standards, access control systems and perimeter or in-depth network monitoring. Companies should assess systems for fault tolerance, availability/scalability, and how integration works with application programming interfaces (APIs) and other tools. Before you buy, be sure to assess the license type for a product and the types of user support that are available.  Your staff might need phone, web or live support while learning the new system. Looking at service level agreements can clarify issues with maintenance, user support and how often you can expect downtime. As you dig into what sorts of consulting and support services are available and how well a vendor can help with system implementation, your company can also assess the vendor’s past history as a marker of confidence. Customer recommendations and assessments of the vendor’s financial security can have an impact on your final decision as well. Now that you’re more familiar with what to look for in supply chain software, it’s time to make your own list of SCM requirements. We suggest taking a look at our free supply chain requirements template. Use it to create a customized list of just the requirements you need and share it with stakeholders for feedback. Then you’re ready to compare systems! We score and rank top supply chain systems in our comparison report according to our analyst team’s evaluation of the products. No need to have dozens of tabs open comparing systems. Our comparison matrix centralizes the comparison process with top vendors and their SCM features in one place. By implementing a tool with the right features, you can move your company’s operations into the twenty-first century and compete in any fast-paced industry. So what supply chain business requirements will you be setting during your software selection? We’d love to hear from you, so let us know in the comments below! The most common features of supply chain management software include Inventory management – for tracking and managing the availability of raw materials, the number of stocked goods or spare parts. 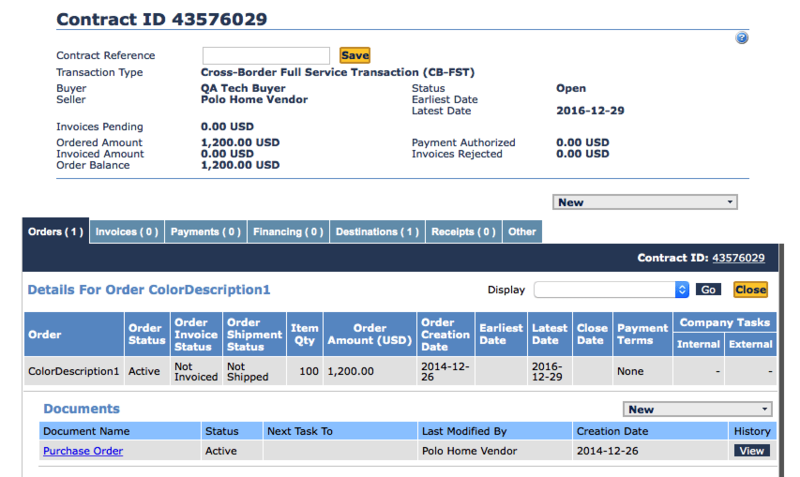 Order management – for automating purchase order processes. I totally agree with the point mentioned. Thanks for sharing.